Please inform me when item is back in stock. 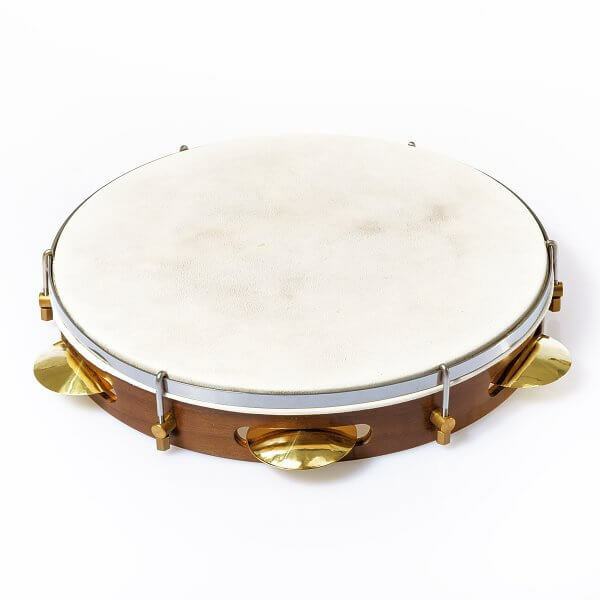 An exceptional instrument in our assortment! 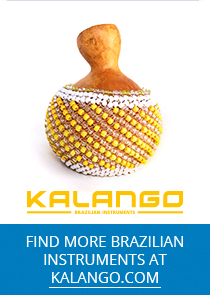 Hand-made beautiful pandeiros from São Gonçalo do Rio das Pedras in Minas Gerais. Georg Joos is a German carpenter and pandeiro luthier who lives in Brazil and makes beautiful top class pandeiros with excellent and very versatile sound qualities. We are thrilled about the combination of European quality work and Brazilian knowledge and tradition of building this challenging instrument and how to achieve the sound characteristics which a pandeiro of this class needs to bring with. 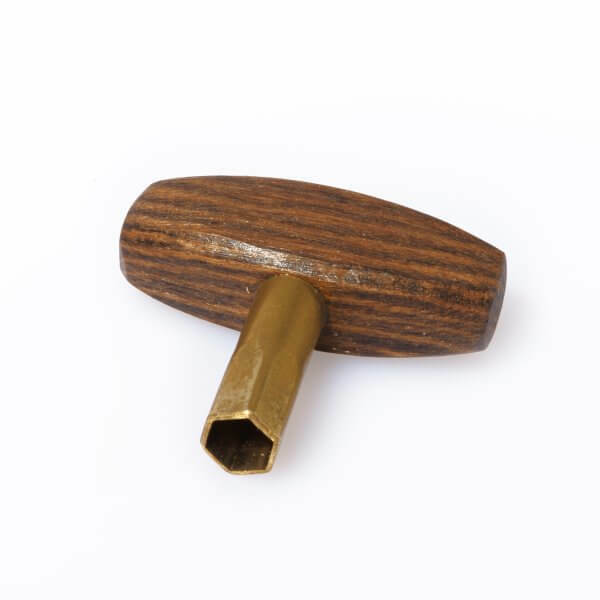 This instrument is not only a visual treat in every sense: The frame is made of two different wood types and is two-coloured with dark Imbuia wood used for the outside and light Pinheiro wood on the inside; all hooks and brackets (round brass) are handmade, the jingles are quality brass and hand-hammered one by one, each of them with one interleaf. 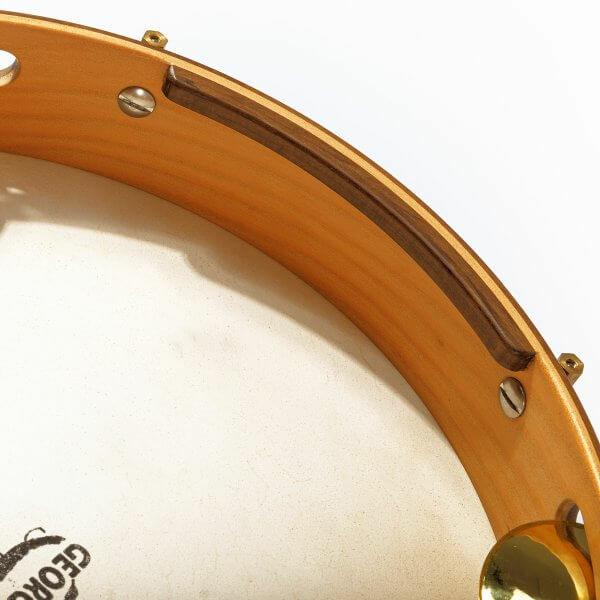 The flatrim is stainless steel and fitted individually for each hand-picked skin. With aprox. 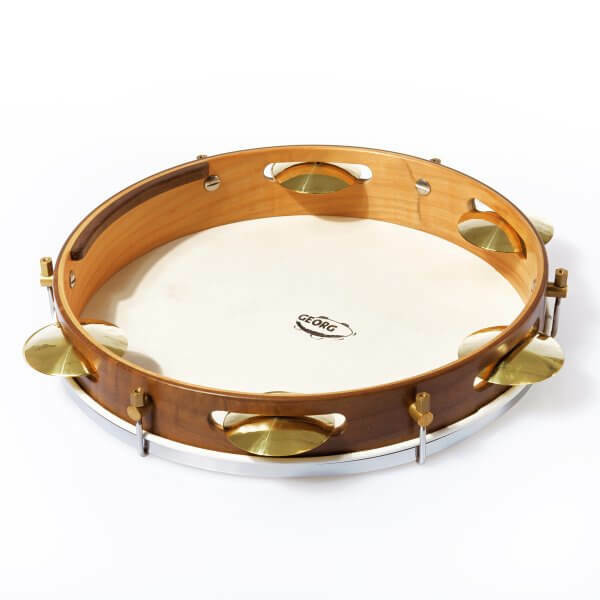 370 g, this modell is one or our top-notch light-weight pandeiros with extraordinary sound characteristics in particular for Samba Choro and MPB music. Where you hold the pandeiro, a small smoothely sanded wood bridge is fitted to provide some more grip and holding comfort. Pandeiro with medium head thickness, versatile and of extraordinary quality!